Heather Kresge is a writer, photographer, artist, journalist, educator, small business owner, and MFA candidate in nonfiction in the Department of English. She can be reached on Twitter @heatherLkresge and Instagram @heatherkresge.photo. This is a collection of prose poetry influenced by Kresge’s fascination with the science and language specific to astrophysics, cosmology, and quantum mechanics. Through interviews and archival research with Arthur Kosowsky, she also wrote a nonfiction piece on the University of Pittsburgh’s former three-part tandem Van De Graaff accelerator. 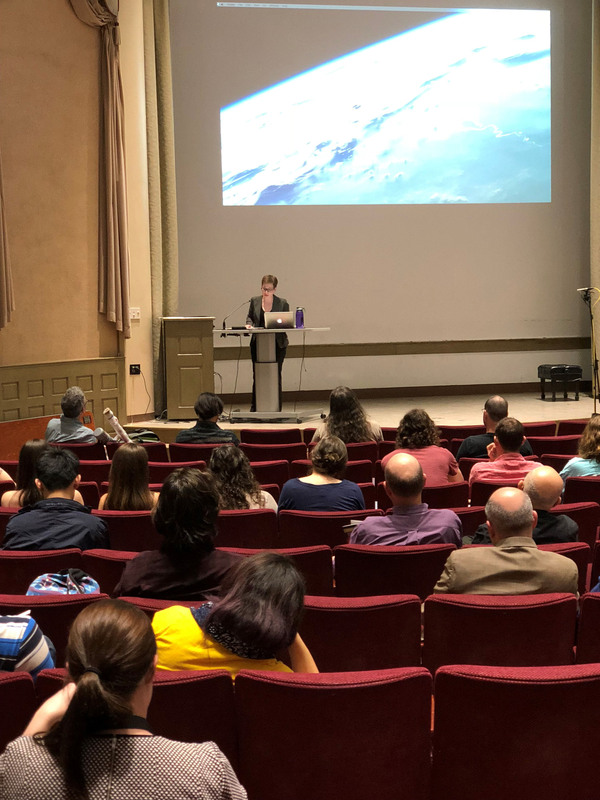 Throughout her residency, Kresge engaged in several collaborations, most notably having led a poetry workshop with Jessica FitzPatrick at the Allegheny Observatory for Secret Pittsburgh, an undergraduate literature course that encourages Pitt students to explore, engage, and record “unusual” places in the city. Kresge also manages the social media for Pittsburgh’s Astronomy on Tap, an astronomy outreach program featuring informal presentations by professional astronomers, held in bars around the Pittsburgh area.